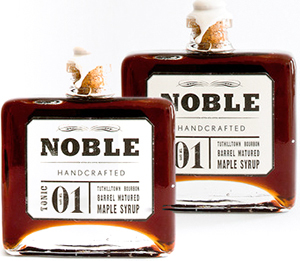 Infusing maple syrup with other flavors is nothing new to Noble. So it’s no surprise that they concocted the Tonic 01 ($20). This premium maple syrup is aged and matured in Tuthilltown charred American oak barrel with a little Tuthilltown bourbon. The hint of bourbon complements the sweetness of the syrup and adds a little zing to the flavor.